With unparalleled collection in the fields of science, technology, engineering, mathematics and medicine, we are uniquely placed to draw people of all ages to engage with science in an inspirational and informal way. We’ve achieved so much and we have no intention of slowing down. With world class collections and inspiring and innovative programmes, we strive to make our museums the best in the world and have many exciting and ambitious plans still to come. The Science Museum Group offers a wealth of exciting opportunities to learn, develop and achieve amazing things. It takes a diverse and richly talented team to achieve our ambitious plans and you can be a part of it. We recognise the value each individual brings and are dedicated to developing and rewarding our people. You will have experience of managing in a busy retail environment and experience of delivering exceptional customer service. We are looking for a Clerk of Works to join the Estate team at the Science and Industry Museum in Manchester for a 2 year fixed term contract. Are you passionate about performing, sharing and delivering authentic stories? Do you have knowledge and experience of Collections Care Conservation and would like to work with our outstanding national collections? In this newly created position you will be responsible for leading the Science Museum curatorial teams, working with internationally renowned curatorial specialists, bringing our scientific stories to life. Are you passionate about communicating the history of science to a wide audience? 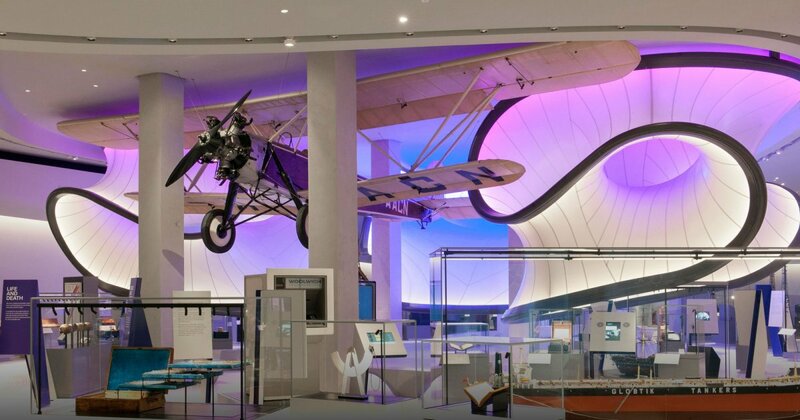 You will deliver strategic, tactical and transparent financial leadership to ensure the continued financial sustainability of the Science Museum Group. Are you a customer-focused, organised and proactive property or projects co-ordinator? We are looking for a driven and dedicated Estate Project Manager on a fixed term basis for 12 months, who will plan and deliver a range of Estate-led projects through the complete project life-cycle. Do you have experience of programme management and delivery in a leadership role? Do you have strong experience of using CRM systems and interpreting data to drive decisions in a fundraising or sales environment? Are you clear communicator who is skilled at building partnerships with colleagues? Are you an experienced prospect researcher with a head for strategy? Have you delivered prospect identification and pipeline management to support high-value fundraising teams?